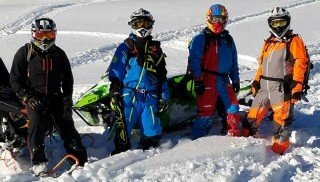 Snowmobile.com put together a Monosuit Shootout featuring the HMK Special OPS, MotorFist Blitzkrieg, FXR Ranger Instinct Lite and Klim Lochsa. You old school riders know there never was a time when a one-piece suit was cool. Well, they were cool, as in cold, but not cool as in fashion. 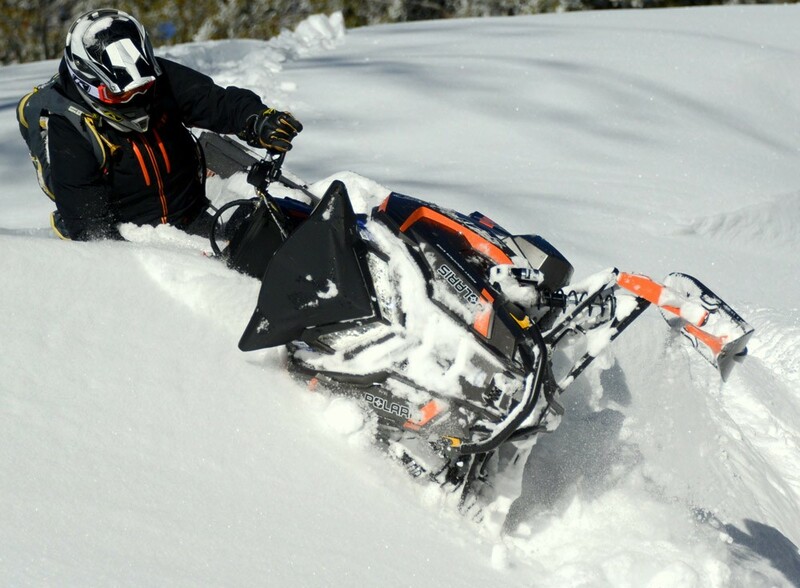 Here we report on our winter-long test of four monosuits from Klim, FXR, HMK and MotorFist. 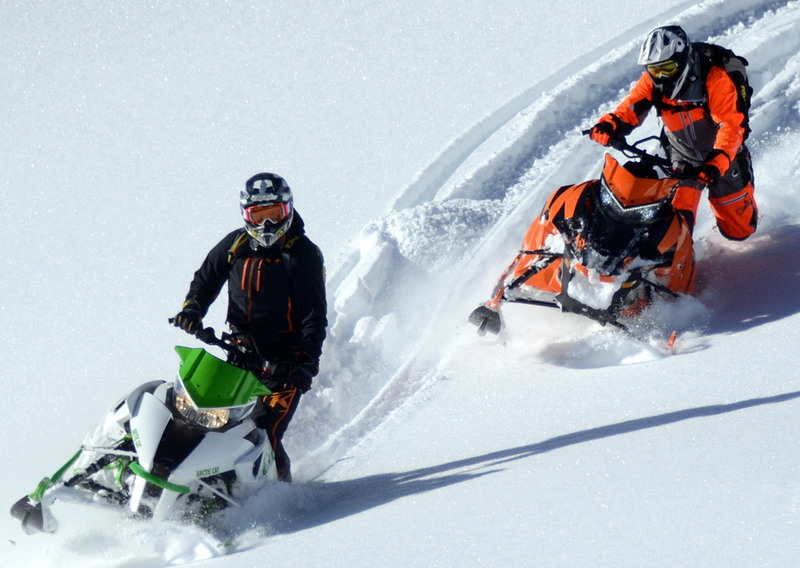 Klim (L) and Motorfist (R) have taken their deep knowledge on moisture and internal temperature management and have gone head-to-head on building a premium monosuit. As the 21st Century grew some legs, Swedish company, Tobe (as in To Be) kicked out a baggy mono-suit with wild colors. Tobe’s marketing strategy was to capture winter enthusiasts who were both a snowboarder and a snowmobiler. 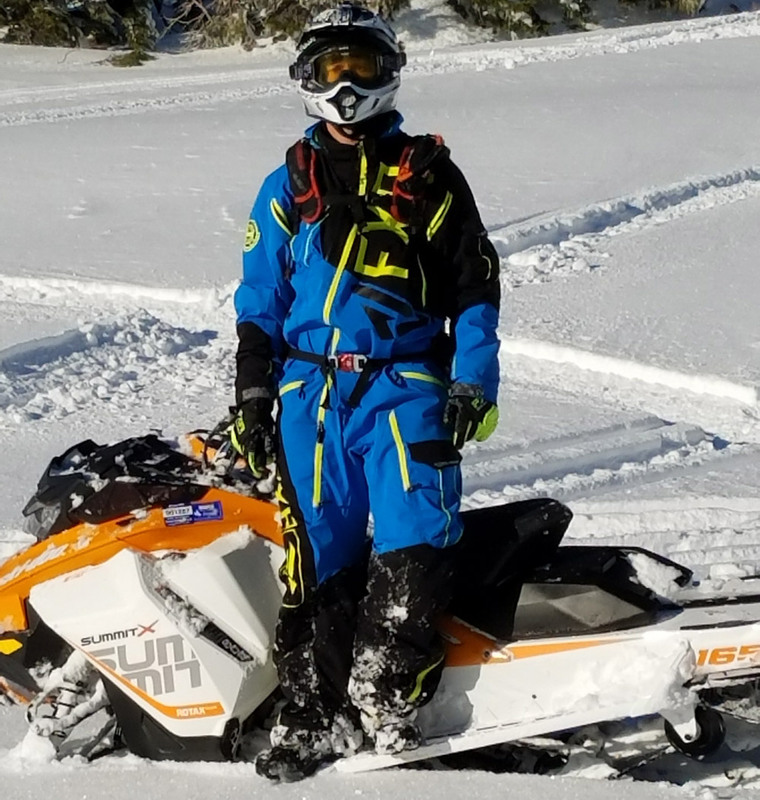 Step in traditional two-piece snowmobile suit companies Klim, HMK, FXR and MotorFist to test the monosuit concept; they slowly eased into the market. 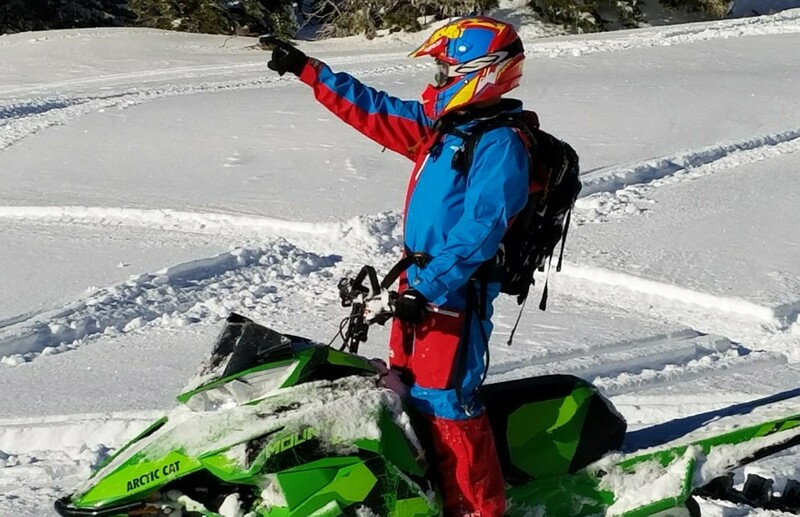 The Snowmobile.com Mountain Team cautiously watched and called the marketing folks at HMK, Klim, FXR and MotorFist to inform them we wanted to use their products during our model year 2017 Mountain Sled Shootout. Here is our report. We received from HMK its Special OPS monosuit in light cranberry red and dark sky blue. Retail on the monosuit is $419.95 USD. We bring this up front as HMK’s monosuit is almost half the cost of MotorFist’s and KLIM’s and right in the middle of FXR’s large monosuit line. HMK owner, Kirk Zack stated the Special Ops does not have military-grade tech, but has exactly what a rider needs. The Special OPS monosuit is a stable chassis, somewhat baggy, but form fitting; some color combinations are conservative and not so conservative. The Special OPS monosuit is constructed with HMK’s ballistic construction that includes XR-Gold weatherproof technology making it windproof, waterproof and breathable. It has AquaGuard waterproof zippers, underarm zipper ventilation, abrasion-resistant inseam, Cordura panels, and at the boot end, an abrasion-resistant Cordura hem. The Special OPS suit was not the warmest monosuit in our cache of four. Inner layering was more crucial with it than with the monosuits from Klim, FXR and MotorFist. But, as the day wore on, and temps started pushing the mercury up, the light Special OPS was the suit to be in. For cold trail-riding days, the HMK Special Ops is up for the task, but layer-up underneath. Note the hood poking out from the gear bag. We are not fans of any monosuit hood. On one particular wet falling-snow day, the HMK suit allowed some moisture to pass through to the inner layer, mostly at the front zipper area. For most of the season we kept the hood attached to the chassis, but near the end (late winter), we detached it. A hood is nice to cover the head during a lunch break, yet it has downside; it catches snow and tree branches. The Special OPS suit has generous pockets and big zip zippers; getting in and out of was simple. It has a goggle pocket and reinforced paneling at the seat and crotch area. Unlike the other three monosuits, the Special Ops does not have adjustable internal shoulder straps. 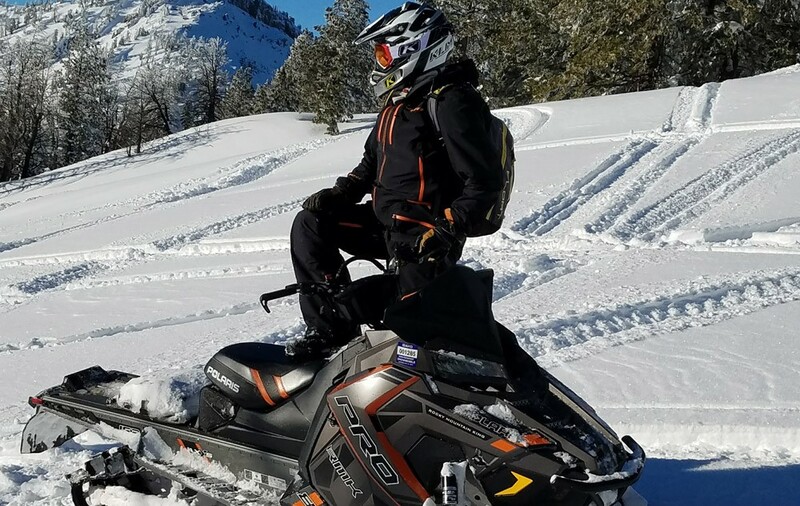 You may wonder that with a onesie, why do you need to “hike ‘em up.” No snowmobiler has the same body – belly, rear end, torso and legs. 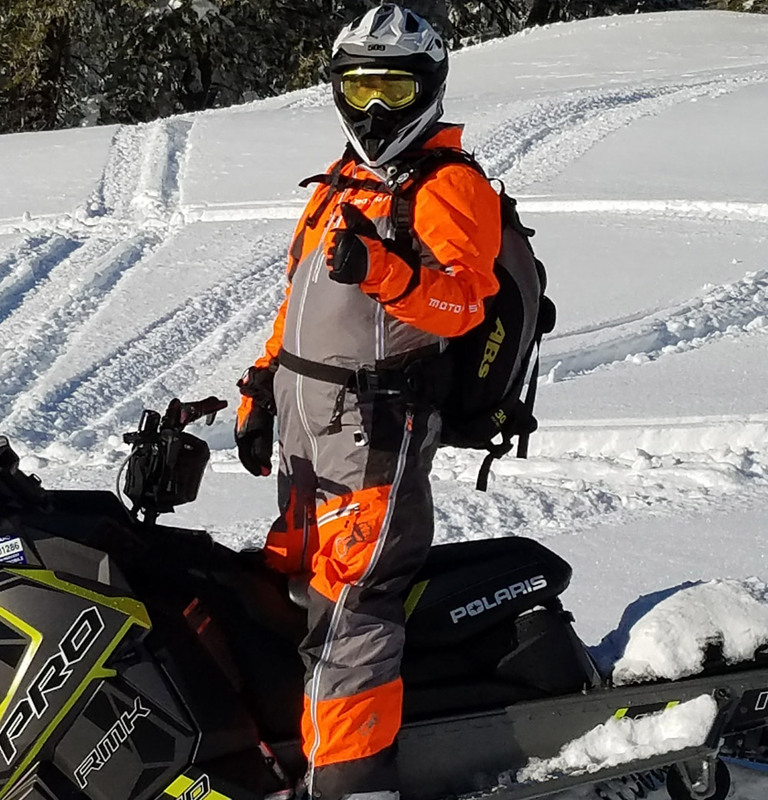 With internal suspenders and an outer waist belt, a snowmobiler can create a fit that is perfect. But, the HMK Special Ops panels are cut to fit most dudes. Kirk Zack told us an internal suspender system adds much cost, and he chose to keep manufacturing costs down, while achieving a good fit though individual panel cuts. At the boot end, the Special Ops has an internal snow gaiter. For most the season, the monosuit worked well with our HMK boots keeping our feet dry and comfy. But by season’s end, the gaiter hooks and snaps failed. Given the choice of overheating in a suit, or not being able to transfer body moisture to the atmosphere, I’ll take a busted snap or hook any day. MotorFist builds tough products. Like any rugged outdoor clothing company, MotorFist had its growing pains. But as the company matured, its line is right-sized as it seeks quality over quantity; the Blitzkrieg monosuit we tested is a quality product. The orange and gray Blitzkrieg retails for $799.99 USD and is constructed with high-tech fabrics such as eVent, an outershell with fully taped seams and 300D (denier) polyester fabric at the body, legs and arm areas; and more robust 500D nylon panels on the seat, knees and lower leg areas. The Blitzkrieg felt like a comfy, albeit, a rugged one-piece pajama. Not making light of Blitzkrieg, but once we crawled into it, set the internal suspenders to a position that kept the pant legs properly stacked for standing and sitting, the Blitz was a fine monosuit to wear; and to match a rider’s build, MotorFist built into the Blitzkrieg, an expanding elastic waist with adjusters. From an editor’s perspective, the Blitzkrieg is a fine monosuit; MotorFist did well right out of the gate. A few niceties about the Blitzkrieg are: 1) its backside vents remain open even if a rider wears a backpack; 2) it has an integrated goggle cleaning cloth; 3) at the cuff, it has thumb holes built into the inner liner; 4) the cuffs’ outer layer has zippers to adjust cuff-fit around a glove; 5) at the boot end, it has a robust internal gaiters with boot clips snaps; and 6) knee padding is removable. We had to be like Bret Rasmussen for a day, maybe more. FXR is not one to have one-style monosuit, though we evaluated the Ranger Instinct Lite, it has a half-dozen more labels. When choosing a monosuit from FXR, spend time on its website, FXRracing.com, and learn about each. The Ranger Instinct is an uninsulated monosuit (as were all we tested); suggested price is $670.00 USD, but some yearend online bargains are available. FXR has techno lingo to describe this monosuit. We’ll decipher. The Ranger Instinct Lite has FXR’s ACMT – Advance Climate Management Technology System. Meaning its outer shell, membrane and inner liner work to manage the driver’s internal climate, to keep him or her warm, cool and dry. The nylon outer shell is made of durable Omni Stretch HydrX Pro Laminate. The suit is flexible. The inner liner has sealed seams and HydrX Pro integrated venting. 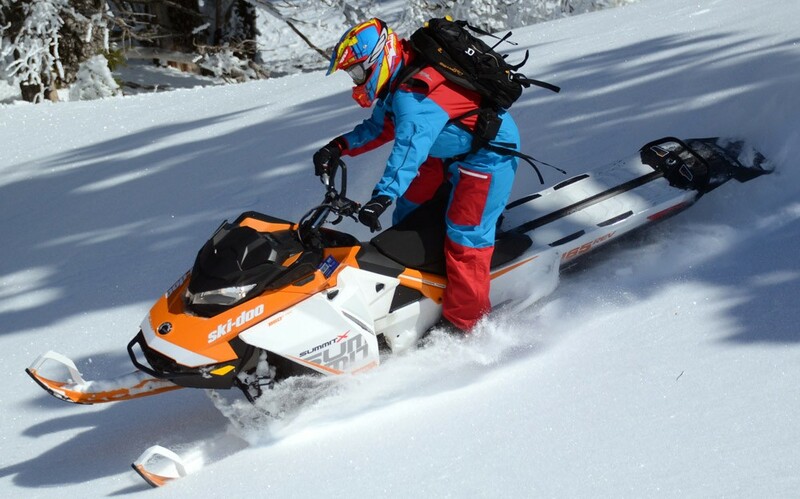 The Ranger has FXR’s Dry Vent System, meaning it has a snowproof and moisture-resistant chest, arm, rib and leg vent system. Translation, water stays out, sweat escapes (that’s the hope) and vents keep the driver cool when working hard. Here is Sr. Test Ride, Kevin Allred’s take on the Ranger Instinct Lite. “The Ranger Instinct Lite is bright. FXR is known for its bright colors. I like dark and conservative colors, but for this monosuit, it’s all good. “The four-way stretch fabric was comfortable, and it has adequate vent ports and zippers. I advise when wearing this suit, with its many pockets, don’t forget which pocket holds your truck’s key, you’ll be searching for a few minutes. The FXR Ranger Instinct Lite monosuit is generous when it comes to fit, it is somewhat baggy. We found the FXR Ranger to be rugged, but not as adept to wicking away moisture as we hoped for. Like the HMK and MotorFist monosuit, it has a hood for those cold lunch breaks; it is removable. It has a hidden-away goggle wipe cloth, built-in internal suspenders, removable and washable knee pads, storm cuffs (gaiters) with boot lace retention snaps. For us, it was dang comfortable to wear, but bit of a sponge. Klim reports on its website, “Complete comfort and coverage, ultra-freedom and the truly simplistic solution for active and aggressive riders who want do-it-all outerwear, the all-new LOCHSA One Piece brings unbeatable convenience with Klim and Gore-Tex performance.” Klim also promotes its monosuit as being ultra-mobile, with minimal bulk that is a full-body weather-proof suit. 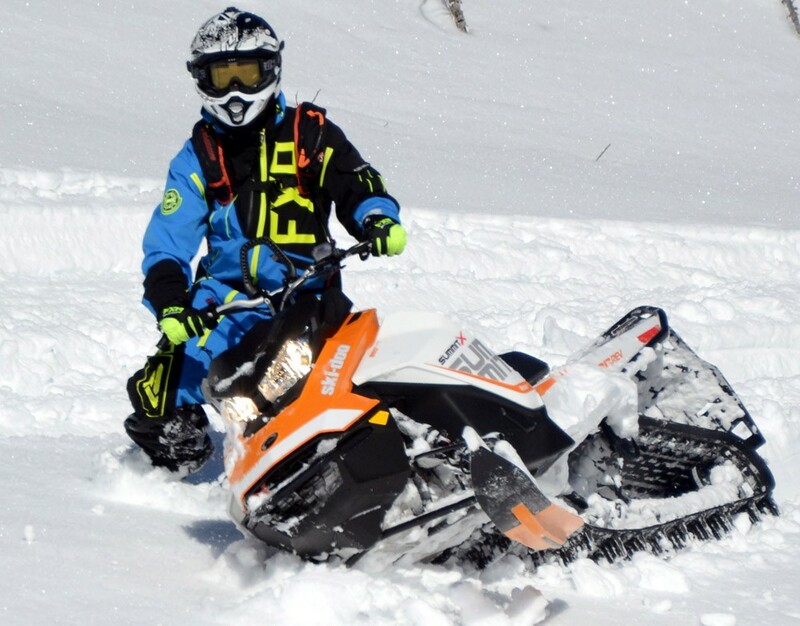 Klim with its generous use of Gore-Tex, has made a monosuit that is not a gimmick suit. The Lochsa is every bit as rugged as its two-piece suits. If you are familiar with Klim, then you know. However, of the four monosuits we tested, it is the most expensive. Its suggested retail price of $949.99 USD makes it $150.00 to $250.00 more than the other three. 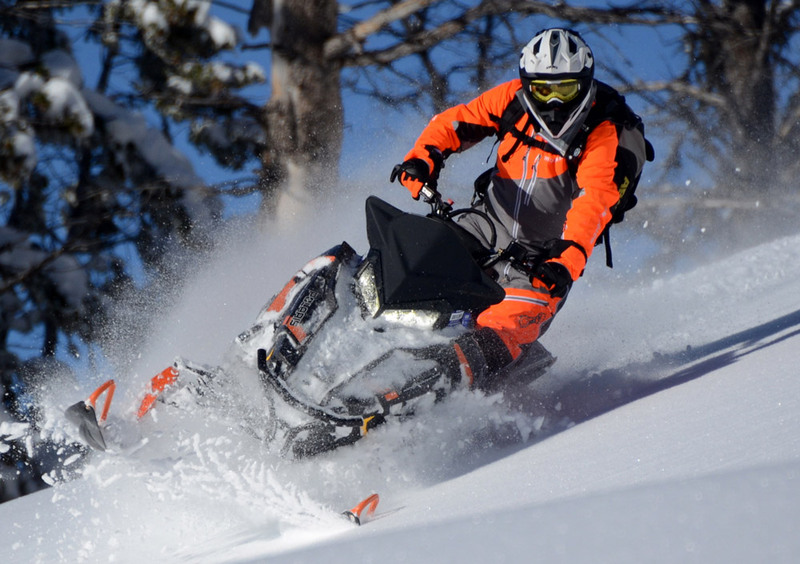 But, you know what you have when you purchase a Klim snowmobile suit, a life-long suit. 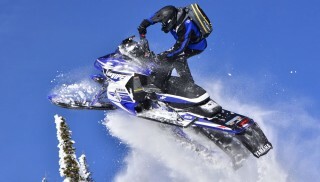 Keeping snow from slipping up the body on an elevator drop is the beauty behind a monosuit such as this from Klim. This monosuit comes with a removable hood; seems all focus groups demand a hood for onesies. Its back vents do not hide behind a backpack. Its internal suspenders and outer Velcro belt assure a good fit. It has inner and outer thigh vents, pit and arm vents, an internal gaiter system with boot clips and an built-in goggle wipe cloth. We wish the inner liner at the cuff area had a thumb hole, this one little feature we desire; Motofist is the only monosuit of this group that has a thumb hole. The suit is truly not bulky. When it comes to packing lite for an airport hop, nothing like rolling up the Lochsa into a Klim gear bag with Klim boots and Klim helmet and having ample room to bring home souvenirs. This monosuit is truly compact. Are monosuits like these just trendy or are they also functional? Both. We have come to believe the monosuit is best at moderating internal body temperatures as they provide a sealed climate. Two-piece suits work very well, indeed so, but they are more open to the elements – somewhat more. Study up on these, go to each company’s website and study the tech behind each. If we were to pick a winner in our Monosuit Shootout, by a super-slim margin, half-percent, we would choose the MotorFist Blitzkrieg, because of its thumb hole at the cuff. Just a little concept that pushed out ahead the others. But, it is not inexpensive. The HMK suit is not all high-tech, but it is a good-value suit. The FXR is comfortable, but it needs better moisture venting. 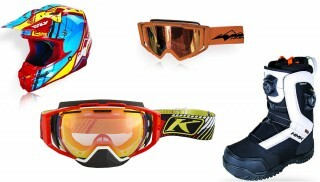 The Klim is premium and it is regarded by many as the best. Kevin Allred is yet to give his up.